Rajouri Day was celebrated on April 13 to commemorate the bravery and valour of the soldiers who laid down their lives for the liberation of Rajouri district of J&K from rebels and Pakistan Army. The Partition of India and the accession of Jammu and Kashmir to India in October 1947 was followed by the First Kashmir War between India and Pakistan. The Pakistani raiders, along with the rebels and deserters from the western districts of the state, captured Rajouri on 7 November 1947. Nearly after four decades i.e., 1979, Bamboo rice has shown up in Odisha. Bamboo rice which is good for diabetes grows out of a dying bamboo shoot. Bamboo rice looks like paddy rice and tastes more like wheat. Bamboo rice is not commonly available as it takes many years for a bamboo tree to flower. Bamboo rice is believed to be containing medicinal values. The Central Marine Fisheries Research Institute (CMFRI) and the Indian Space Research Organisation (ISRO) have signed an MoU to map, validate and protect smaller wetlands in the coastal region and restore them through coastal livelihood programmes. As per the MoU, a mobile app and a centralised web portal with a complete database of wetlands in the country which were smaller than 2.25 hectares will be developed. 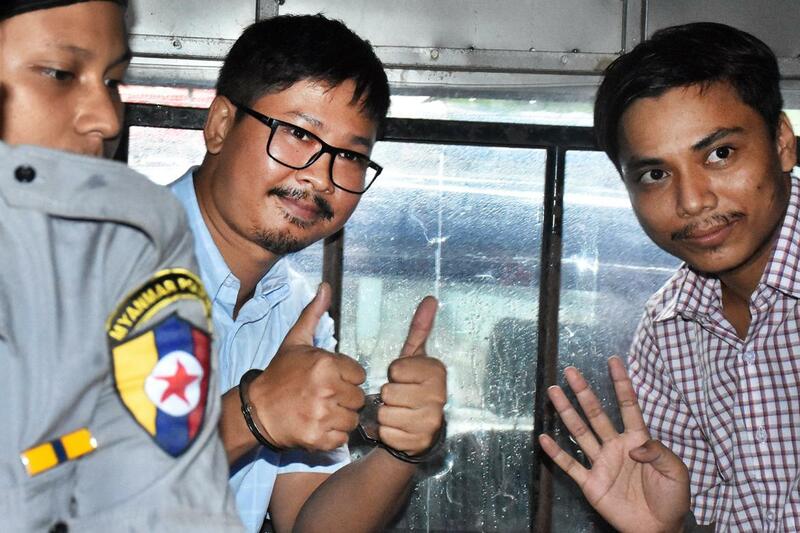 The 2019 UNESCO/Guillermo Cano Press Freedom Prize has been awarded to Reuters reporters Wa Lone and Kyaw Soe Oo for their exceptional courage in reporting on alleged human rights violations in the Myanmar’s state of Rakhine that landed them behind the bars. The Press Freedom Prize 2019 pays a tribute to their courage, resistance and commitment to freedom of expression. India and the Netherlands on April 11, 2019 discussed ways to strengthen bilateral, political and economic ties, including boosting cooperation at the United Nations and other international forum. This was discussed during the foreign office consultations held in New Delhi. India welcomed the participation of the Netherlands as the partner country for the 25th edition of the CII-DST Tech Summit scheduled to be held in New Delhi in October 2019. US lawmakers have reintroduced an important legislation in the House of Representatives that seeks to strengthen the US-India strategic relationship. If enacted, the new bill would ensure that the US State Department treats India as a NATO ally for the purposes of the Arms Export Control Act. The bill H R 2123 was introduced this week by Congressman Joe Wilson, a senior member of the House Foreign Affairs Committee. Observed every year on April 15, World Art Day (Rittik Day) is an international celebration of the fine arts which was declared by the International Association of Art (IAA) in order to promote awareness of creative activity worldwide. The date was decided in honor of the birthday of Leonardo da Vinci. The first World Art Day was celebrated on April 15, 2012.